Get creative with your climbers! 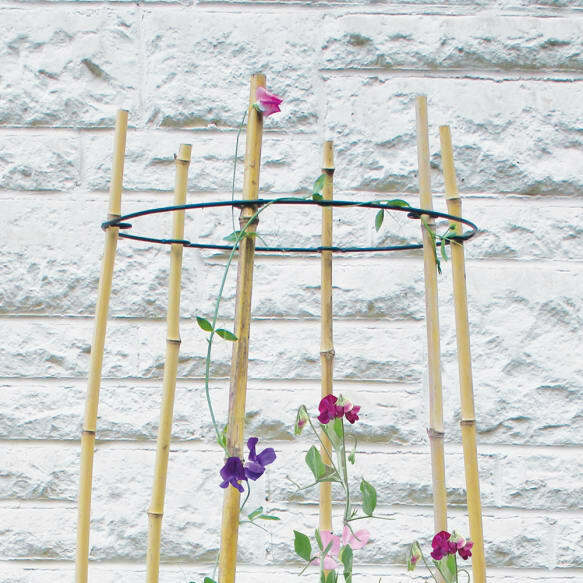 Create a magnificent obelisk plant support for sweet peas, beans, peas, and other climbing plants using 6 bamboo canes held in a circular shape with the 2 Cane Rings. 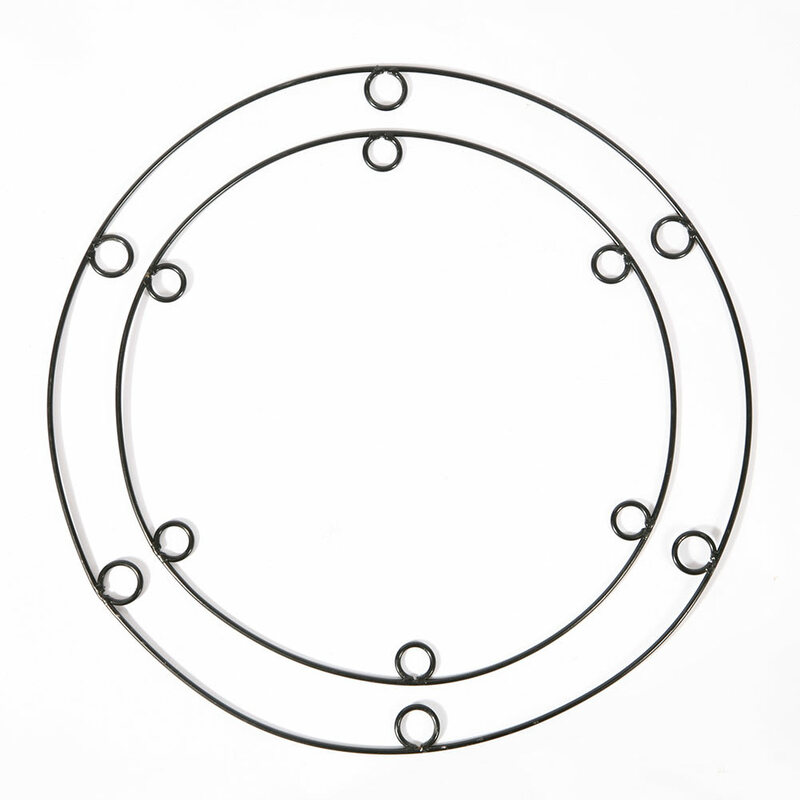 Diameter Large ring 55cm (22") Diameter Small ring 45cm (18"). 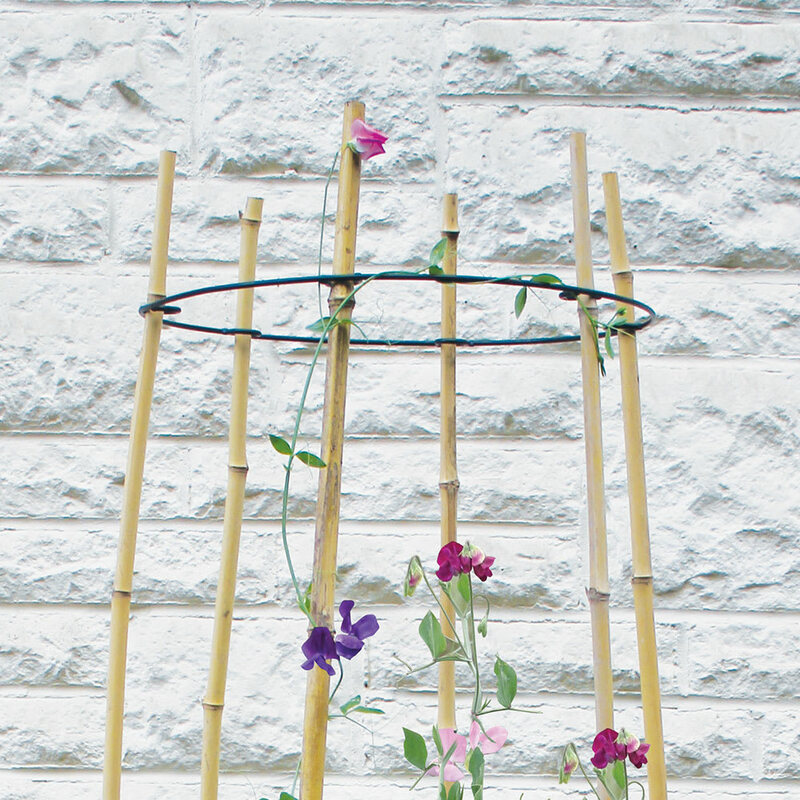 A set of 2 round, durable steel cane supports to help tame and create a feature of your climbers. A simple idea with impressive results. 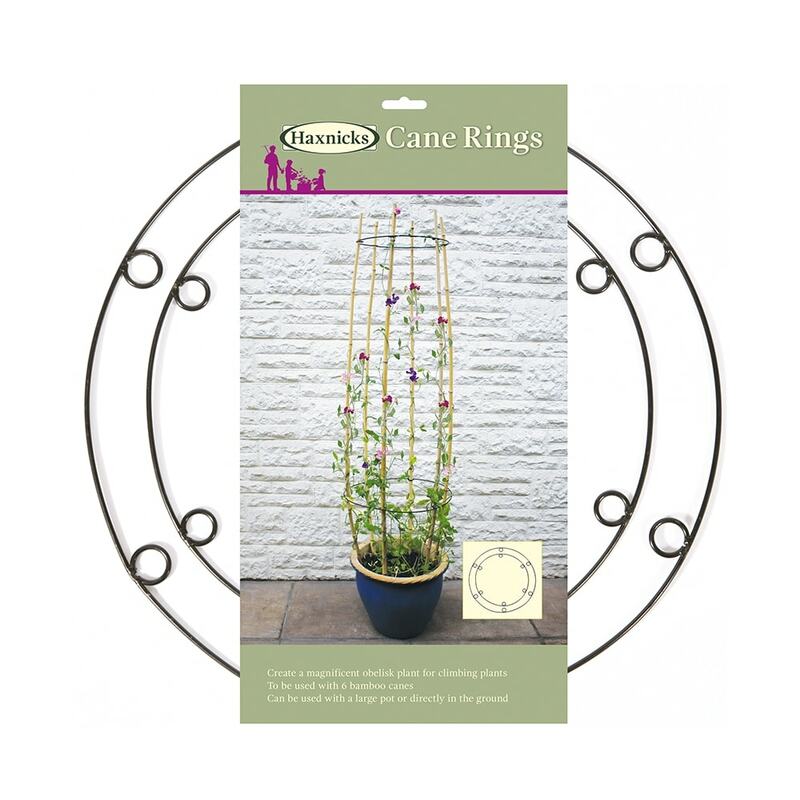 Helpful Haxnicks hint: you can use Cane Rings to support canes in a large pot or in the ground.